Maybe you should get a new faculty advisor. 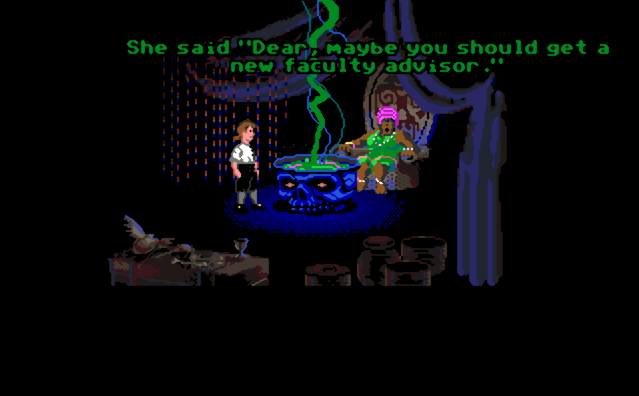 In the demo, when you ask the Voodoo Lady for the magic phrase, she says "Maybe you should get a new faculty advisor. ", referring to Indiana Jones and the Last Crusade.